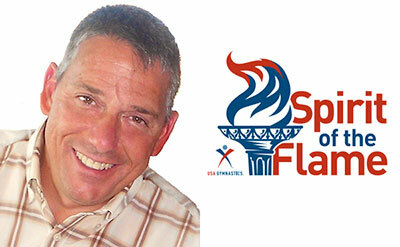 INDIANAPOLIS, May 26, 2015 – Daren Renna, 49, of Boston will receive the 2015 USA Gymnastics Robert Miller Spirit of the Flame Award at the 2015 USA Gymnastics Hall of Fame Induction Ceremony at 11 a.m. on Aug. 14 at the Indiana Convention Center in Indianapolis. 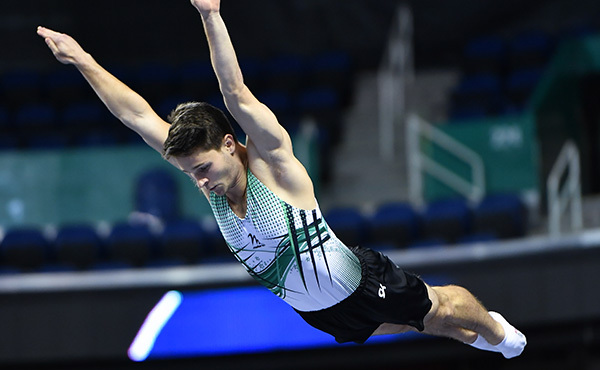 Renna was chosen in recognition of his perseverance and overcoming obstacles, love of gymnastics and dedication to the sport. 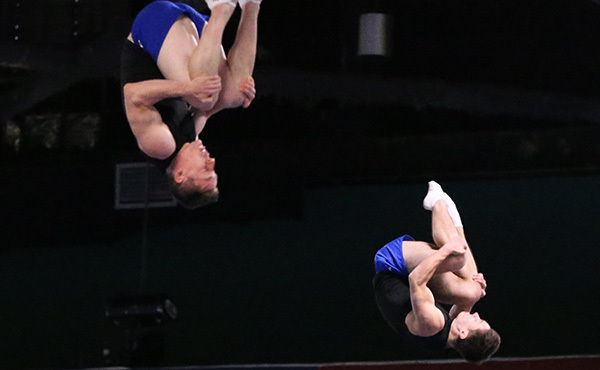 “Daren’s determination to overcome the obstacles he faces in life along with his commitment to still be involved with gymnastics is what embodies the essence of the Robert Miller Spirit of the Flame Award,” said Karl Heger, a member of the USA Gymnastics Athletes Council. 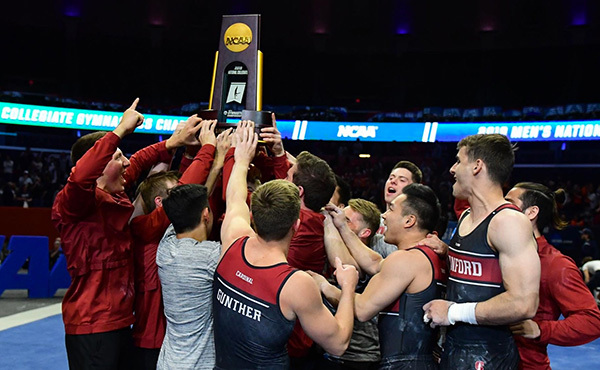 At 14, Renna began participating in gymnastics at the Massachusetts Gymnastics Center while he was a student at Lexington, Mass., High School. In 1982, he was a Class 1 gymnast with dreams of advancing to the elite level when he sustained a spinal cord injury while performing an Arabian double front that left Renna paralyzed from the neck down. In 1984 at Brooks General Hospital in London, he became the first human being to have omental transposition surgery, an experimental procedure at that time. The surgery allowed Renna to regain limited use of his right arm and truncal balance, which allowed him to sit without restraints. Although he could no longer participate in gymnastics, Renna was determined to remain involved with gymnastics. He sent a letter to USA Gymnastics in 1987 that recounted the accident and his desire to continue to be involved in the sport. Printed in the organization’s magazine, the letter generated a lot of letters providing words of encouragement and support. 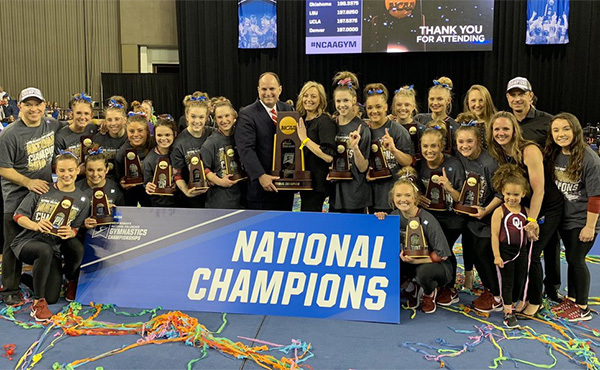 Renna returned to the sport as a coach (Cape Cod Gymnastics in Scituate, Mass., and Gymnastics and More in Woburn, Mass.) and began his journey toward achieving his national judging rating in 1997. He has judged competitions at the local and collegiate level, as well as the women’s Level 9 Eastern Regional Championships and U.S. Junior Olympic National Championships. Renna currently serves as the co-judging director for the Massachusetts Chapter of the National Association of Gymnastics Judges. He was also chosen as a torchbearer for the 1996 Olympic Games in Atlanta, Ga., and attended the University of Massachusetts – Boston. 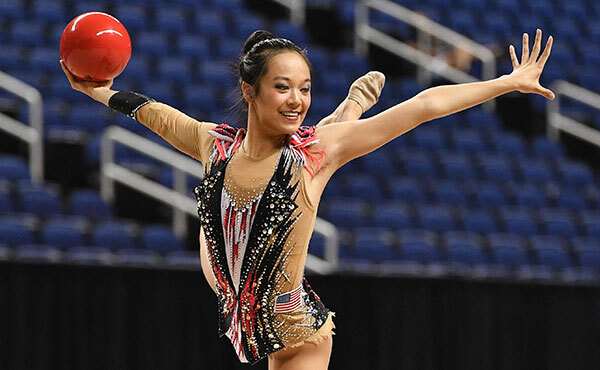 Founded in 1987, the Robert Miller Spirit of the Flame Award recognizes athletes and individuals in the gymnastics world who demonstrate leadership, strength and determination in an extraordinary way. In 2011, the award was renamed after Staff Sergeant Robert Miller, who received the Medal of Honor after saving fellow soldiers during a 2008 ambush in Afghanistan. For more information on the award and to purchase tickets, click here or go to legacy.usagym.org.